Superb quality, original design and attention to detail – three commitments from Casablanca Bridal to their brides. Come see what this looks like in lace, tulle, crystals and satin during our trunk show for this beautiful collection at LuLu’s this weekend (January 3-5). The talented Design Team at Casablanca Bridal searches world-wide for luxurious fabrics, exquisite laces, and dazzling embellishments. Each unique style is hand-crafted to ensure each bride a tailored fit. It is Casablanca’s philosophy to insist on the ultimate in quality materials and uncompromising workmanship in every gown they create. Visit LuLu’s during our Casablanca trunk show to shop the full newest collection and experience this beauty and quality firsthand! 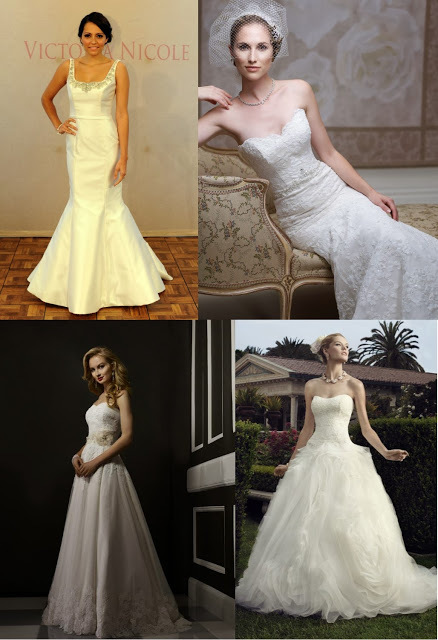 We are ready to start 2014 with a flourish and these stunning new bridal gowns from Victoria Nicole are just the ticket! StarDust is thrilled to host a trunk show for VN’s beautiful and romantic gowns this weekend! Call the salon to schedule your appointment during this exciting shopping opportunity: 972.781.1619.? Trunk Shows are a very important part of the bridal industry. The special in-store promotions or sales events allow brides to shop an expanded collection of a specific gown designers’ newest line. Often, salons will offer a special promotion or discount during a trunk show. 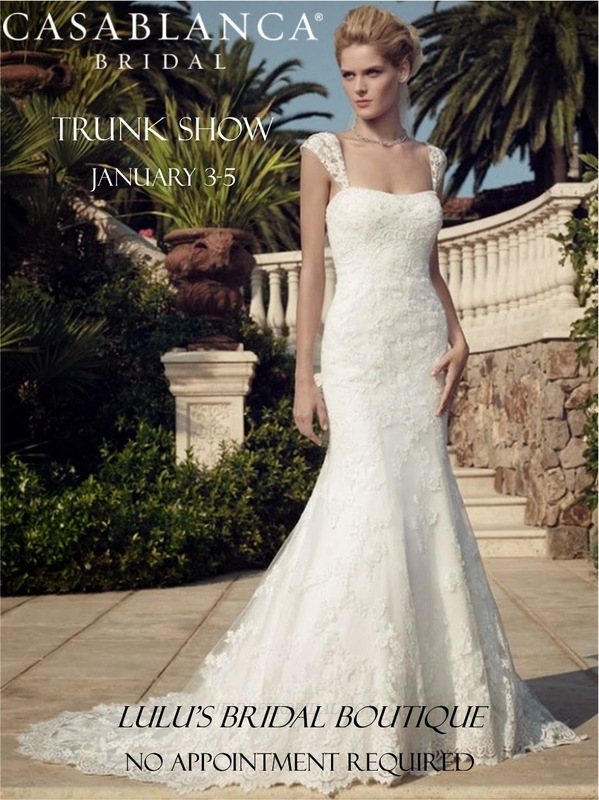 The name “trunk show” comes from how the gowns used to be transported from salon to salon – in trunks! We are screaming through the holidays, and January will be here before you know it! We are thrilled to share our January trunk show schedule with you. 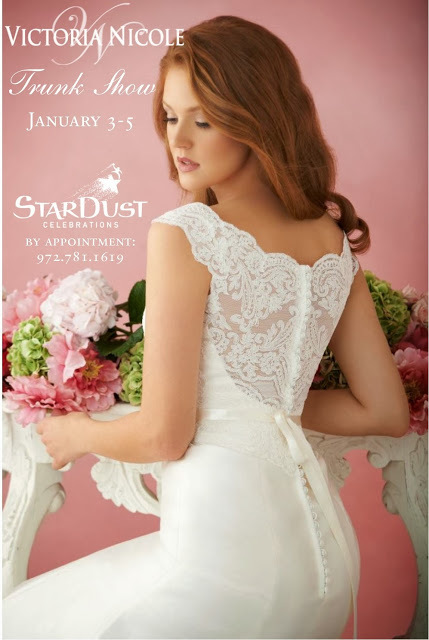 StarDust Bridal Salon will host trunk shows for Victoria Nicole (January 3-5), James Clifford (January 10-12) and Birnbaum & Bullock (January 17-19), which designer Robert Bullock will attend. 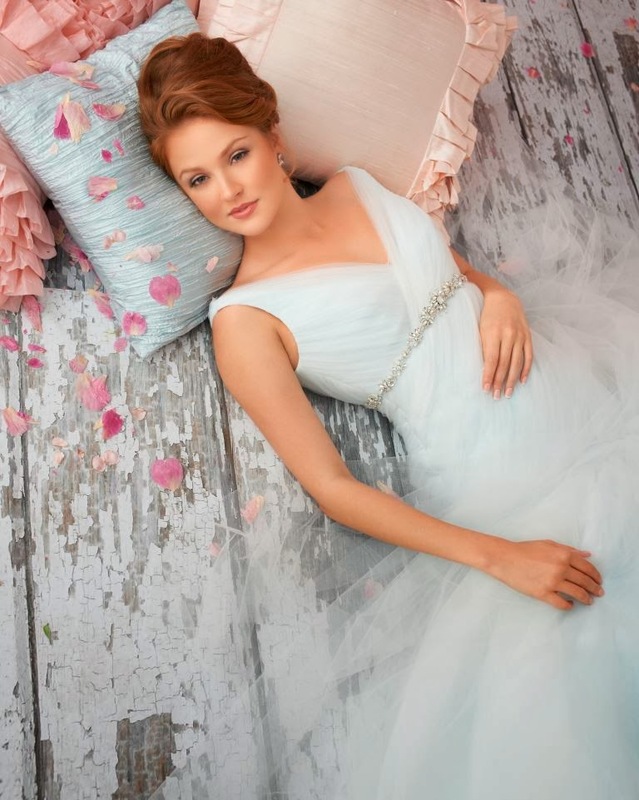 LuLu’s Bridal Boutique will host trunk shows for Casablanca Bridal (January 3-5), Allure Bridals (January 10-12) and David Tutera for Mon Cheri (January 24-26). The LuLu’s trunk shows do not require appointments, but be sure to call 972.781.1619 for an appointment during one of StarDust’s trunk show. that we will feature in our salons during January! ﻿What is a trunk show exactly, you might be wondering? Sometimes we, who live and breathe weddings all the time, forget that terms and events that are common knowledge to us may not be so obvious to new brides embarking on their wedding planning journey. A bridal gown trunk show is one of these things. Ubiquitous to the bridal industry, trunk shows are special in-store promotions or sales events when gown designers send expanded offerings of their new line to stores for brides to preview, try on and order. Often, salons will offer a special promotion or discount during a trunk show. By the way, you might be wondering how these events came to be called “trunk shows.” The name comes from how the gowns used to be transported from salon to salon – in trunks! We hear you – wedding planning can be stressful. It shouldn’t be, but somewhere between attending numerous vendor meetings, navigating family dynamics and making dozens of decisions, you realize you need a break. Now! Fortunately, there are plenty of things you can do to combat stress during what should be a wonderfully joyful time in your life. Probably one of the most overlooked – and the most difficult, if you’re looking at your to-do list – is to get plenty of rest. Lack of sleep can be a stress magnifier and often, people getting too little sleep are more prone to irritability and less likely to be able to handle things as they don’t go according to plan. The National Sleep Foundation recommends that adults get 7-9 hours of sleep each night. That’s a tall order, to be sure, but even making an effort to go to bed an hour earlier each night will contribute to you feeling more rested overall and help you stave off a little stress. Eating more healthfully is another way to keep stress at bay. When you don’t eat healthy meals regularly, your blood sugar can be all over the place and that can lead to crankiness. Without the proper fuel, your mind doesn’t function at its peak performance, and you can be easily distracted. 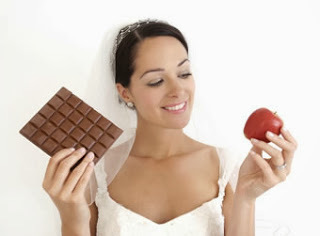 An obvious bonus side effect of eating healthy is that you’ll look even more fantastic on your wedding day! Exercise is another excellent way to kick stress to the curb! There are so many options out there: running, yoga, Crossfit®, cycling, Pilates, Zumba®, swimming or barre, just to name a few! No matter which form of movement you enjoy, just getting a moderate buy valium online with mastercard amount of exercise a few times a week can really help relieve your stress. Three ways it does this is to increase endorphins (your body’s own feel-good chemicals), distract you from what seemed so stressful in the first place and boost your mood! Again, the added bonus is that you’ll look awesome in your bridal gown! And we cannot forget massage, a surefire way to loosen those knots in your neck, back and shoulders. Massage can be a great stress reliever by helping you unwind and loosen tight muscles. Consider a day at the spa to help rejuvenate you. Or even better, schedule a couple’s massage for you and your fiancé – and declare that date a wedding-discussion-free zone. 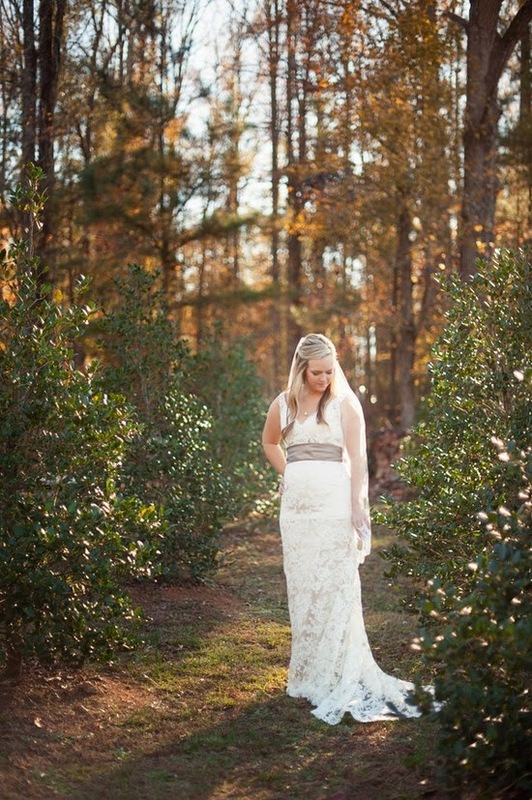 Taking a little breather from wedding planning every now and then can be just the ticket to refreshing you. 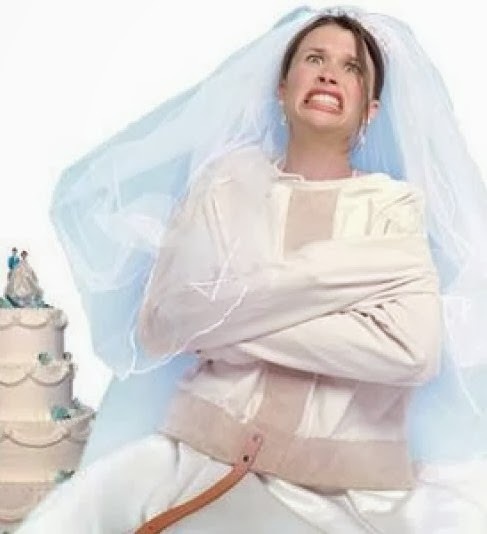 Finally, if going solo while planning your wedding is proving to be too much, get help! Just like you would not consider tackling serious legal or financial tasks without an attorney or a financial planner, you might not want to take on wedding planning without an expert by your side. At StarDust, we know weddings. One of our mantras is that we are “all weddings, all the time” and we have planned hundreds of weddings, which make us uniquely equipped to help you plan your wedding day! Ready to enlist some backup? Learn more by scheduling a free consultation with one of our certified wedding planners today! Call us at 972.781.1619 to schedule an appointment or fill out this form on our website. sources: for more info on stress relief and sleep, visit the Mayo Clinic’s and the National Sleep Foundation’s websites. 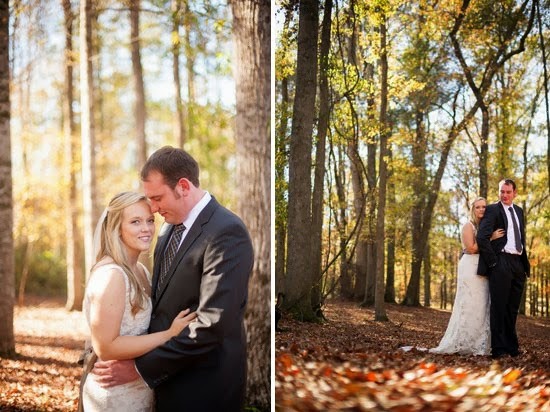 The weather is turning dreary again so we wanted to brighten your day today with a nod to a darling StarDust Bride whose precious southern farm wedding was featured on The Lovely Find. 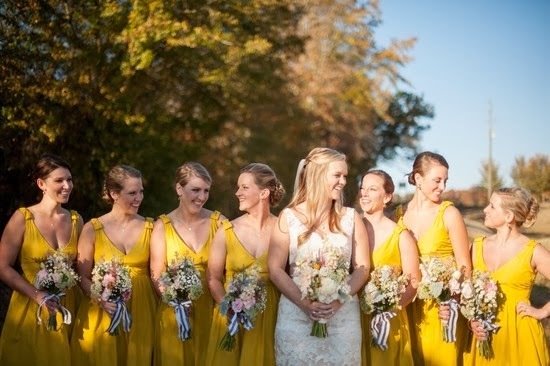 Rachel’s precious wedding featured lots of mason jars, whimsical wildflower bouquets and brightly dressed bridesmaids sporting cowboy – or it is cowgirl?! – boots. But our favorite buy genuine diazepam thing is the way lovely Rachel glowed so beautifully in her romantic Jim Hjelm lace bridal gown we helped her find here at StarDust Bridal Salon. Here are a few shots from Scobey Photography, but be sure to click on the link to enjoy the entire post!